Your laptop has crashed and refuses to boot the OS. The only option you have is to reformat the drive, losing all your non-backed up data in the process. Thankfully you have a external enclosure for your SATA drive. However, when you try to access the files you find out they're inaccessible due to being registered to the non-bootable laptop. How do you get around the problem? This tutorial will teach you. First things first. Connect the SATA drive (drive A) to your backup computer. Or, if you have another drive (drive B) laying around, put your OS on that and use it to boot up the previously mentioned laptop. Once you have a working laptop, attach the SATA drive (drive A) you wish to get the files off of and find the folders you wish to copy over. Straight copying won't work, nor will trying to access to the folders. You'll need to right click on the folder you wish to gain access to then select "Properties" from the drop down menu. Now, go to the "Security" tab located on the top of the new window. In "Security" click on "Advanced". A new dialog box should open. In this box go to the "Owner" tab where you can see the current owner registered to this specific folder. Click the "Edit" button which will bring up a new window where you can see the current user who has control of the folder as well as any other available user. 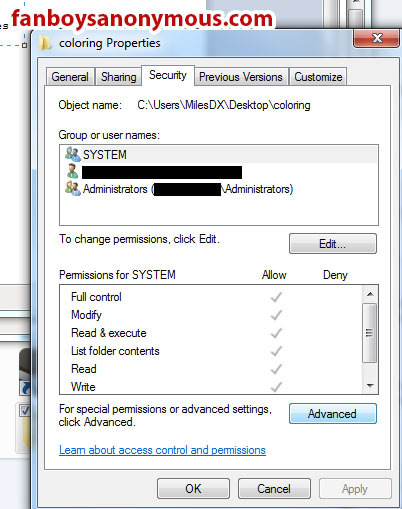 Click the user account you wish to give permissions to. 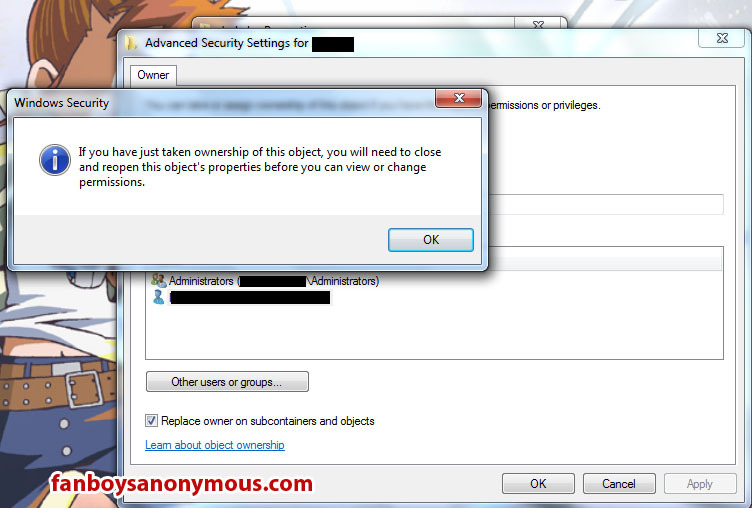 Make sure the check-box next to, "Replace owner on sub-containers and objects" is selected. Click apply and a dialog box should open which will give permissions to all the files within the folder/location you which to access. Once this process is done, you'll be asked to close the properties window then reopen it to view the changes made. Do this to verify if the permission we're successfully changed to the new laptop user. From here, you should have complete control over the folders you wish to access. Find this helpful? Have any horror stories about losing data due to your computer crashing? Please share in the comments below.